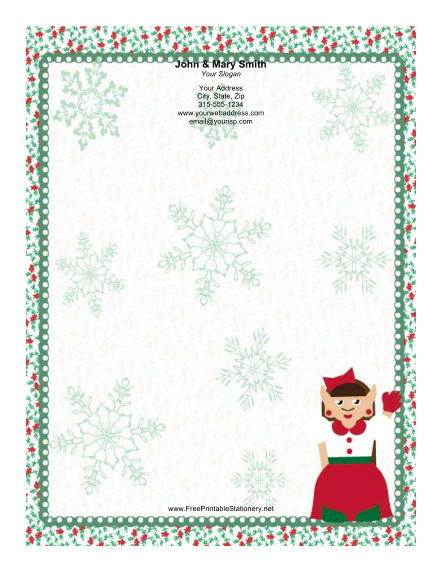 An elf girl dressed in red wearing a red bow stands on this Christmas paper. She is surrounded by a festive holiday border. The delicate border of flowers and the snowflake background give this stationery real Christmas spirit, making this a great choice for all your holiday letters.